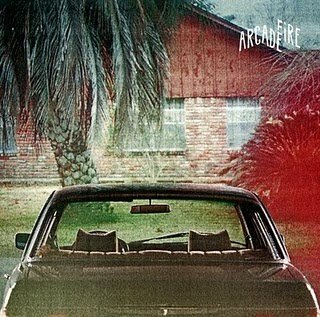 Last week I wrote about Arcade Fire's album promotion - pre-order the album, and get advanced access to buy tickets for a secret gig. I thought that it was a great idea - in fact it was a terrible idea, because not all of the people who pre-ordered got this advanced access; it was done on a lottery basis. So I pre-ordered the album and a few days ago I was informed that I had been 'unlucky' in the draw and would not receive the pre-sale link for tickets. However, they would send me another email with the link for the general sale at 9am on July 2. It wasn't indicated whether I would have any advantage because I had pre-ordered the album. I didn't receive this email - but a friend (who hadn't purchased the album) somehow had, and forwarded me the link for tickets. When I went on the ticket site at just before 9am today, the ticket purchasing page was still black. At 9am precisely, I managed to get through OK and clicked to buy but was asked for a passcode. It wouldn't let me purchase tickets without one. Was this passcode included in the email I didn't receive? Who knows. But when I went back 5 mins later the passcode box had disappeared! By then of course it had sold out. What an utter shambles. I feel distinctly conned." (& 8 posts follow this one). What a shambles. What a disaster. The gig is on at the Hackney Empire, which holds over 1,300, so if more than 650 pre-ordered the album then yes, there would be a problem. However it's a nice problem to have, so try to re-schedule the gig (which remember people are paying for) in a bigger venue rather than to antagonise the fans like this. Remember too, that they were putting other tickets on general sale, so there is really no excuse for it. That's exactly what happened to me! It was awful and it pissed me off, and I'll be suing Universal for breech of experience or perhaps just defecating into an envelope and sending it to the campaign manager. I never saw the ability to buy without passcode. When I was looking at 9am exactly and 9:01 there was only passcode ability. Universal you poor ignorant fools. I'll never enter a digital experience with you again. "This offer is only eligible to customers with a UK billing address. You can register for this pre-sale if you purchase the new Arcade Fire album on pre-order from this store here. Tickets will be on general sale from Thursday 1st July. The exclusive pre-sale will begin Monday 28th June and end on Wednesday 30th June. All registered email addresses by Thursday 24th June will receive an email with an access code that is matched to their email address. You must register by midnight Thursday 24th June in order to qualify for the pre-sale. This email will be sent to you on Monday 28th June by a ticket retailer called Ticketmaster who are acting on behalf of Arcade Fire. We will restrict the number of emails sent to the number of tickets available, so the sooner you are registered then the more likely you are to be able to buy tickets. You will need to have the correct combination of your email address and the access code in order to buy tickets. Ticket purchase is strictly non-transferable and is limited to 2 tickets per person. You will have 24 hours from the time you receive your email in order to buy your tickets. If you have not bought tickets by this time then the code will expire and we will notify the next person in the queue on a first come-first served basis. All enquiries for customer service for Ticketing should be directed to Ticketmaster on 08444 999 999 - Monday to Friday from 9.00am to 8.00pm and Saturday and Sunday from 10.00am to 4.00pm. There is no direct email address, but customers can email in via the Ticketmaster support page here [Ticketmaster link]"